Cherie is characterized by a very compact padded base combined with a slightly tapered headboard that lightens its shape. The cushions are individually made to facilitate the cover removal. A mechanism hidden in the structure allows you to recline the backrest position with natural movements: interpretation of the bedroom as an ever more personal space in which you can devote yourself to relaxation. 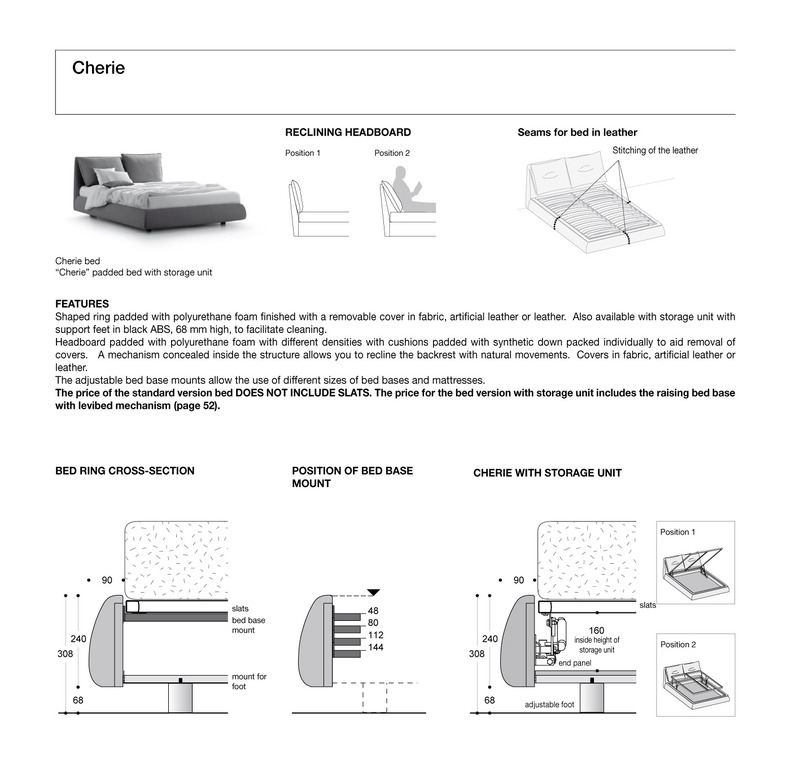 Tags: bedroom furniture, bedrooms, beds, cherie, sangiacomo. The Cherie Bed by Sangiacomo is characterized by a very compact padded base combined with a slightly tapered headboard that lightens its shape. The cushions are individually made to facilitate the cover removal. A mechanism hidden in the structure allows you to recline the backrest position with natural movements: interpretation of the bedroom as an ever more personal space in which you can devote yourself to relaxation. A Company that produces modular furniture design for day and night identified by coherence, functionality and aesthetics combined with research in materials used in their work in order to get the best possible quality / price ratio. The furniture company SANGIACOMO was founded in 1968 in Brugnera, in the province of Pordenone. In 1971 the company relocated to its current locale in Cecchini di Pasiano. In 1987 Sangiacomo acquired the Meson’s kitchens, a historical brand founded in 1963. With continuous attention to the development of markets, careful research of quality aesthetics and functionality with careful selection of materials always gives an added value to Sangiacomo products, differentiating themselves from competition.